Riddle:What action do we all do but don’t know why? Hint:Not only do we not know why we do it, but it is also contagious! Meaning, when we see someone else doing it, we begin to imitate them ourselves, without intending to do so. I’m talking about yawning, of course. Yawning is a basic bodily function. 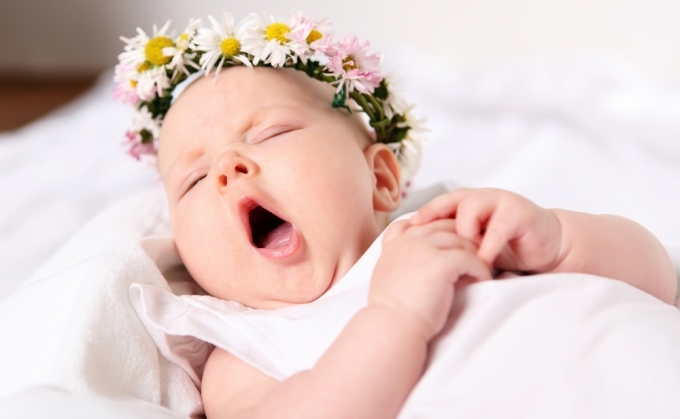 Everybody yawns, also animals such as birds and fish – even unborn babies. Why does this interest us so much? Since, as science lovers, natural unexplained phenomena are like a mysterious treasure box for our brain, which will not rest until it manages to crack the mystery. Even if we do not crack the mystery behind yawning, we can at least say we tried, and learn a few things along the way. The first thing we need to understand, is what a yawn actually is. According to the scientific definition, a yawn is an action in which a living being opens and stretches its mouth and pharynx, along with breathing air in and out, followed immediately by a closing of the mouth and pharynx. In most instances, the first yawn will be accompanied by a second and a third. Why does this happen? How can a yawn pass from one human to another like a contagious disease? We have still not found the full scientific answers to these questions, but there are many hypotheses. So why do we yawn at all? The simple truth is that no one really knows. Many scientists have invested years of research in order to answer this question, and raised various hypotheses. For instance, it was hypothesized that yawning increases the oxygen flow to the brain, cools the brain, is related to resetting our systems as we shift from rest to alertness, etc. Other researchers went in the direction of more social hypotheses, such as that yawning is a means by which members of a group display affection to one another. Still, not knowing why we yawn does not prevent us from asking why is yawning contagious. This question also raises many hypotheses, some of which are presented in the following video – which may make you yawn but definitely not out of boredom. The chameleon effect: In our brain we have specialized neurons called “mirror neurons”. Mirror neurons are sort of imitators, which allow us to learn how to copy actions through observing someone else who is performing them, such as learning dance moves or how to knit. Research has shown that these cells are activated in our brain also when we watch someone yawn. Sympathy yawn: This theory hypothesizes that we yawn in response to someone else’s yawn in order to display sympathy with their feelings. A strange way to express sympathy, I would say. Wouldn’t it be better to give them a box of chocolate instead? Somewhat of an affirmation of this theory comes from a study that discovered that dogs tend to yawn more in response to the yawning of their owners, than in response to the yawning of strangers. There are many more hypotheses, of course, and it is important to remember that they are only hypotheses and may be not true at all. If you give it some thought, you will probably be able to come up with a few hypotheses of your own, and if you deepen that thought, you may even find a way to check if they are correct. In the meantime, while you are thinking, do not freak out if you find yourself suddenly yawning – certainly if just observing a yawn can incite one in us, thoughts about yawning can do the same. And one last thing – if your teacher gives you an angry look for yawning during her class, now you have a really good answer to give her so that she does not get mad at you.